Spotify is one of the most used music streaming apps in the world — as of June this year it had 140 million active users. But for an app so widely used, a lot of its better features are hidden. This is an issue that Spotify has been tackling for a while, and although its taken steps to and continues to improve its UX, it’s still lacking that flow. You can access this by going on Settings –> Music Quality, then you have the option to choose from Normal to Extreme. Ever wanted to group all your Chill playlists in one folder? The desktop version of Spotify lets you create folders into which you can then drag and drop different playlists. I use it for “Seasons,” as I make different playlist each season. Even though you can only be created on the desktop, you can still access the folders from the mobile app. If you drag down on a playlist or artist, you can search for specific songs, place filters or even order songs in different ways. Then, order by Artist or Song Title. When you drag down, simply type in the search box, or press the burger menu on the right to access filters. If you’ve accidentally pressed delete on one of your playlists, there’s still hope. That playlist you’d spent so long carefully curating is back in your power. There are many times I wish I’d known this before — after spending hours recreating a playlist trying to remember each and every song that was on it. To do this head over to Spotify’s Account section on their website –> Account Settings and select Recover Playlists. Voila! It’s back. The Radio feature on Spotify makes a playlists with similar artists or songs. The feature now comes automatically when what you’re listening to is finished — be it a playlist, artist or album. This is great when you’re trying to figure out what else to add to a playlist that fits a certain mood, or even to discover new artists that are similar to what you’re listening to at the moment. It’s similar to the Genius option on iTunes. To access, simply pick the Radio option on your app or sidebar on desktop. For those users who don’t have Premium, they will have to keep an eye on this as you’ll have to set it up every once in a while. In settings, you can choose to keep your songs private — you’ll be able to listen to all your guilty pleasures without everyone finding out. This is one of my favorites. Every week, Spotify curates a playlist for you with music that you could be interested in. So far, the algorithm has improved greatly, and I’ve been able to discover new songs and artists that go along with my taste. You can access this from your Discover section on your Spotify. 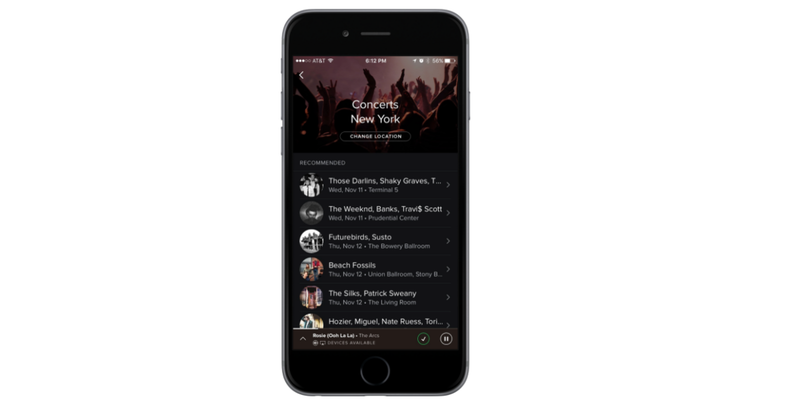 With these, your daily experience with Spotify should be a little better — and inspire you to keep on searching for hidden gems within the service.